In time, a solution was found, and on October 21-23, Archpriest John Moses (rector of All Saints of North America Church in Middlebrook, VA) and his Matushka Alexandra visited San German with a special goal – to visit the mission’s 18 parishioners and teach their choir to sing Russian tonal melodies. In the words of Fr. Gregorio, at first the choir knew only simply Carpatho-Russian chants, but both the rector and the choir, including his matushka and son, dreamed of learning to sing specifically Russian liturgical singing. 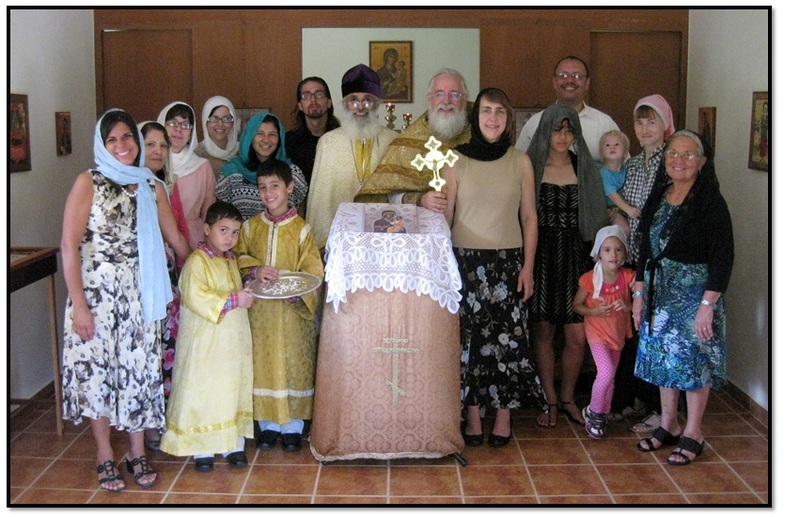 "Our goal is to stress the fact that we must not be isolated on this island, so the best way was to create uniformity in all aspects of liturgics, using ROCOR as our foundation and guide," said Fr. Gregorio. The trip was sponsored by the Fund for Assistance to ROCOR. With the allocated funds, Fr. John was able to buy notes and service books in English, as well as special software designed to aid in the translation of liturgical texts. Matushka Alexandra taught the choir the tones and various hymns, while Fr. John delivered a seminar on Orthodoxy for mission members. Despite the hot weather, some traveled over three hours just to be present for the seminar. "People here thirst for the Truth," said Fr. John. "Like all missions, the San Juan Mission suffers from the lack of many resources that we take for granted... Our contribution on this trip will hopefully help them to overcome some of the things that limit their work of evangelization and growth and help them to realize a Spanish Church that is both Orthodox and traditional. I believe that they have a great future ahead of them, so all that we can do to assist them will reap many benefits for ROCOR."